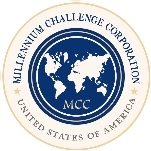 The Millennium Challenge Corporation (MCC) was established in 2004 to administer the Millennium Challenge Account (MCA), the Bush administration’s “revolutionary” new bilateral development aid fund. The MCA was conceived in the wake of 9/11 as a means of combating terrorism through poverty alleviation—or, more accurately, through economic development in poor countries where instability could pose a threat to U.S. interests. The MCC is a government corporation, with a Board of Directors helmed by the Secretary of State and managed by key federal agencies (Treasury, Trade, USAID) in the U.S. foreign policy diorama. MCC aid is conditional. The agency makes selective grants to qualifying developing nations based on a set of 16 criteria in three areas: good governance/rule of law, “investment in people,” and economic freedom. Though differing from other U.S. aid ventures—primarily by program scale and an emphasis on “responsible” country behavior—the agency’s approach to development is a solid continuation of established neoliberal models. The MCC charter is “to achieve market driven economic growth,” and the agency applies a trickle-down aid approach: building business and financial sectors with the assumption that benefits will eventually come to the rest of society—that is, to the people most in need of development initiatives. At the outset, during FY 2004, $650 million was made available for the MCA. Funding increased to $1.5 billion in FY 2005. Although the Bush administration planned to administer an annual $5 billion dollars through the agency by FY 2006, disbursement thus far has been slow, leaving the budget vulnerable to congressional trimming. Although MCC’s annual budget requests were, for some time, held at $3 billion, appropriation funding was $1.77 billion in FY 2006, $1.482 billion in FY 2008, and down to $875 million in FY 2009. FY 2010 saw funding at $1.105 billion. The MCC requested $1.280 billion the following year, $1.125 billion for FY 2012, and $898.2 million for FY 2013. Critics fault the Bush administration for bad planning from the beginning, and the agency has become somewhat embattled with bipartisan pressures—although, due to its solid neoliberal ideology, it receives some rare support from right-wing factions that normally disdain foreign aid programs. The Bush administration’s response to the events of September 11, 2001, included a broad and comprehensive overhaul of relevant federal agencies and foreign policy. An outgrowth of Cold War strategy, development has always provided a means of fighting the country’s proxy wars and protecting its economic interests, and was a natural candidate for an “anti-terrorist” makeover. The apparent post-Cold War shift increased the focus on military and security in the developing world. But the formula is very much the same—based on neoliberal capitalist policies (induced economic liberalization, privatization of social services, and market deregulation aimed at attracting foreign direct investment). Bush’s plan, in part, was designed to address a deteriorating perception of U.S. aid on all sides of the development debate, and secure the U.S. agenda for future bilateral and multilateral ventures by playing to the “other” beneficiaries: financial institutions, and U.S. and foreign corporations. I challenge other nations, and the development banks, to adopt this approach as well. America’s support for the World Bank will increase by almost 20% over the next three years. We expect the World Bank to insist on reform and results, measured in improvements in people’s lives. All the development banks should adopt a growth agenda, increasing their support for private sector enterprises and focusing more on education, as the Inter-American Development Bank has done…And I challenge the development banks to provide up to half of the funds devoted to poor nations in the form of grants, rather than loans. Grants instead of loans that may never be repaid. The requirement to solicit program proposals developed solely by qualifying countries with broad-based civil society involvement. Also setting the MCC apart is its budget. In 2002 President Bush announced an initial plan to fund the agency at $5 billion annually by FY 2006—a large tag for ambitious programs, which has yet to be reached. Congress appropriated only $6 billion for FY 2004-2007. FY 2007 funding was provided under terms of a continuing resolution that provides $1.7 billion, while the Administration requested another $3 billion for FY 2008. By FY 2010, funding had dropped to $1.105 billion. MCC’s Congressional budget requests were $1.280 billion for FY 2011, $1.125 for FY 2012, and 898.2 million for FY 2013. Administrator, the U.S. Trade Representative, the Corporation’s CEO, and “four individuals from the private sector drawn from lists of proposed nominees submitted by Congressional leaders.” The Board oversees the agencies operations—and importantly, makes the country selections. MCA programs are authorized by the Senate Foreign Relations and House International Relations Committees, and the Senate and House Foreign Operations subcommittees appropriate funds for the agency each year. In considering candidate countries, the MCC “assesses the degree to which the political, social and economic conditions in a country promote broad-based sustainable economic growth,” with the Board of Directors focusing on three factors: performance on the policy criteria, the opportunity to reduce poverty and generate economic growth in the country, and the funds available to MCC. In order to qualify for MCA support, countries must demonstrate—through “policy performance”—commitment to 16 criteria in three categories, which are measured by third-party indicators, from the World Bank and the IFC (International Finance Corporation), Transparency International, Freedom House and UNESCO, International Fund for Agricultural Development, and The Heritage Foundation, among others. For FY 2010, candidate countries had either a per-capita gross national income below $1,905 (low-income category) or between $1,906 and $3,945 (lower middle-income category) and could not be statutorily prohibited from receiving U.S. economic assistance. This category includes immunization rates, public expenditure on health and primary education, girls’ primary education completion rates and natural resource management. This includes policies that foster enterprise and entrepreneurship, more open markets, sustainable budget policies, and strong support for development. See MCC’s FY 2012 country selection guide for detailed descriptions of each criteria at Guide to the MCC Indicators and the Selection Process (pdf). A Compact is a multi-year agreement between the Millennium Challenge Corporation and an eligible country to fund specific programs targeted at reducing poverty and stimulating economic growth. The Threshold Program is designed to assist countries that are on the “threshold,” meaning they have not yet qualified for MCA Compact funding, but have demonstrated a significant commitment to improve their performance on the criteria. According to the Federal Register (Volume 76, Number 115; Wednesday, June 15, 2011), the agency had dispersed about $700 million to 20 countries. Most of these funds are focused on agriculture, transportation, administration, road and land development, education, and energy. Additional budget directives include $95 million for Due Diligence and Compact Development, $678.2 million for Compact Programs, $15 million for Threshhold Programs, and $5 million for the Inspector General budget. According to USASpending.gov, since 2010, the MCC has spent more than $95 million on 1,300 transactions. The top five types of services are A&E management and engineering ($9.7 million), R&D research ($9.1 million), R&D management and support ($8.9 million), facility rentals ($6.9 million), and thoroughfares (roads, bridges, highways—$6.1 million). MCC’s FY 2013 proposed budget estimates that $9.5 million will be spent on contracted services that year, which is a 2% reduction from the its FY 2012 appropriated level. Many have expressed concern over a slow start for the agency. Relative to most U.S. foreign aid, which often consists of small, centrally planned and contracted projects, the ambitious Millennium Challenge Corporation (MCC) approach allows grantee countries to undertake large projects on their own—making funding levels a crucial issue. According to press reports in December 2007, MCC had spent only $155 million of the $4.8 billion it has approved for spending on projects. The unspent billions made it vulnerable at a time when both the House and Senate had slashed the 2008 budget request. The Senate also proposed a rule that critics claim would be counterproductive to the agency’s “innovative approach”—wherein Congress would provide no more than half of the money up front for future five-year projects (typically $250-$700 million). Under the current system, such projects are fully funded up front to ensure completion. “At a May 22, 2002 public meeting on the MCA, an InterAction spokesperson claimed that some 71% of U.S. assistance represents ‘tied aid’—that is, aid for the purchase by recipient countries of U.S. goods and services. The spokesperson asked whether the MCA would continue to tie aid or whether greater resources flows would directly benefit recipient countries without strings attached. Alan Larson, U.S. Under Secretary of State for Economic Business and Agricultural Affairs, responded that the just-concluded OECD negotiations on tied aid had been ‘tortuous’ and that the goal of untying aid would not represent the ‘sharp end of the spear’ of the MCA initiative. Indeed, Larson said that he would not make this objective the centerpiece of any initiative, since it’s good policy to buy the time of talented consultants who are able to contribute to a country’s development. With the federal budget deficit threatening the existence of many programs and offices, two international aid experts recommended the Millennium Challenge Corporation (MCC) be made a non-government agency. The primary benefit, they argued, would be the MCC “could rise above politics” if it was no longer beholden to Congress for funding. As it was, the MCC was not hurting for cash. Having received about $10 billion over a seven-year period, corporation still had several billion in the bank, “in part because it makes multiyear agreements with its partner countries and demands proof that they are keeping up their side of the bargain before giving them all the agreed-upon funding,” according to Kumar and Hewko. According to a CRS report, the decision to house the Millennium Challenge Account in a new organization was heavily debated during early congressional deliberations over the new initiative. The Bush administration advocated a new structure and fresh start to circumvent some of the bureaucracy inherent in conventional development organization—while critics argued it would further divide policy and complicate delivery. Suggestions were made to house the agency in the State Department or link it to USAID administration. Much criticism has been leveled at the MCC, from within and outside the development field. Critics take issue with the underlying concept, arguing that making aid conditional upon a set of criteria crafted by the U.S.—no matter how complex, third-party regulated or transparent—is just a continuation of the “one-size-fits-all” model of development long supported by the U.S. government in its rule over the World Bank and other international aid institutions. The new-and-improved model trumpeted by the MCA and MCC is the same policy, albeit with a shiny new package—and runs the risk of continuing to ignore the need for a varied, relative, and organic approach to development and democracy across a diverse range of communities and countries in need. A California native, John J. Danilovich earned a bachelor’s degree in political science from Stanford University and a master’s in international relations from the University of Southern California (London campus). He was a private investor and businessman, active in international shipping for more than two decades, and has worked as company director in the shipping, property, publishing, and investment fields. From 1991 to 1996 he served on the Board of Directors of the Panama Canal Commission, and chaired its Transition Committee prior to the transfer of the Panama Canal. He is also a U.S. diplomat, having served as American Ambassador to Costa Rica and to Brazil. Danilovich was appointed CEO of the MCC in November 2005.A longtime resident of London, Danilovich served as UK chairman of Republicans Abroad and European regional chairman of the same. Danilovich and his immediate family made $21,425 in contributions to Republican candidates and party committees prior to his appointment as ambassador to Costa Rica but have not made any donations since. On January 15, 2014, the Senate Foreign Relations Committee approved the nomination of Dana J. Hyde to be the chief executive officer of the Millennium Challenge Corporation (MCC). She was nominated to the position by President Barack Obama on September 26, 2013. If approved by the full Senate, Hyde will be managing an independent agency charged with combating instability in foreign countries by spurring economic development. Because Hyde has had to wait seven months for confirmation, on April 15, the MCC named Sheila Herrling to serve as acting CEO. Hyde grew up in a small town in eastern Oregon and received her undergraduate degree in political science from UCLA. From 1989 to 1991, Hyde served as a legislative assistant for the American Israel Public Affairs Committee (AIPAC). She subsequently worked on President Bill Clinton’s first campaign for the White House. After Clinton’s inauguration, Hyde served as special assistant to the president in the White House Office of Cabinet Affairs, coordinating policy initiatives with the chiefs of staff of national security agencies. She remained in that post until 1995. She later served as special assistant to the Deputy Attorney General in the Clinton Justice Department. She received her law degree from Georgetown and passed the bar in 1997. From 1998 to 2000, Hyde worked as an attorney at the law firm Zuckerman, Spaeder. Then, from 2001 to 2002, she practiced law as part of the international arbitration group at WilmerHale. She also worked in London for the firm of Wilmer, Cutler & Pickering. One of Hyde’s most prominent roles was as counsel to the 9/11 commission, where she served from 2003 to 2004. She focused on crisis management issues and the immediate response of the White House, the Pentagon, and the Federal Aviation Administration to the attacks. After leaving the commission, Hyde was executive director of the Partnership for a Secure America. This organization has as its goal the advancement of bipartisan work on national security and foreign policy issues. In 2009, after serving on the Obama-Biden transition team, Hyde was named a senior advisor for management and resources at the State Department. Then, in 2011, Hyde moved to the Office of Management and Budget, becoming associate director for general government programs. Hyde is married to Jonathan Chambers and has two sons, Judah and Elijah. An Ethiopian immigrant who came to the United States at the age of seventeen with $150 in his pocket, Daniel W. Yohannes worked his way through school, became a wealthy bank executive. and was sworn in as the CEO of the Millennium Challenge Corporation (MCC) December 8, 2009. Born in Ethiopia in September 1952, Daniel W. Yohannes emigrated to the U.S. as an exchange student circa 1970. Working to support himself while in school, Yohannes earned a B.S. in Economics from Claremont McKenna College in 1976 and an M.B.A. from Pepperdine University in 1980. In subsequent years, he put each of his seven siblings through college in the United States. Yohannes soon became President and CEO of M&R Investments, LLC, a privately-held investment firm specializing in real estate, financial institutions and the green energy sector. In September 2006, he co-founded and became chairman of the board of the New Resource Bank in San Francisco, which finances options for green businesses in addition to traditional banking. 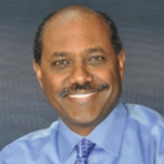 Yohannes is on the Board of the National Jewish Hospital and Research Center, the Denver Art Museum (where he established the Daniel Yohannes Family African Gallery), the University of Colorado Medical School, University of Colorado at Denver Business School, and Project C.U.R.E., which provides medical supplies to 110 countries. Yohannes has been active in Denver civic affairs. In March 2006, he was appointed by Denver Mayor John Hickenlooper to serve on a “Financial Management Task Force,” and in July of the same year, the Mayor also appointed Yohannes to serve as co-chair of the city’s new Greenprint Council, which is in charge of overseeing the city’s sustainability plan. Yohannes is married to Saron Yohannes, with whom he has three children. On November 16, 2004, Yohannes, a Catholic, reported to his parish priest that he had seen the image of Jesus on a banner hanging in his Denver church, St. Mary’s Anglican Catholic Church. A Democrat, Yohannes co-chaired the transition team of incoming Colorado Democratic Governor Bill Ritter in 2006. Since 1995, Yohannes has made political donations totaling $72,550; $67,750 to Democratic candidates and organizations, and $4,800 to Republican candidates.